Jesus Lozoya Lara went home to be with our Lord on Sunday, January 20, 2019 in Toppenish, Washington. He was 92 years old. He was born in La Cruz, Chihuahua to Reynalda Lozoya and Jesus Valenzuela Lara on January 23, 1926. As an infant, he and his mother moved to Rodey, New Mexico, where he was raised. 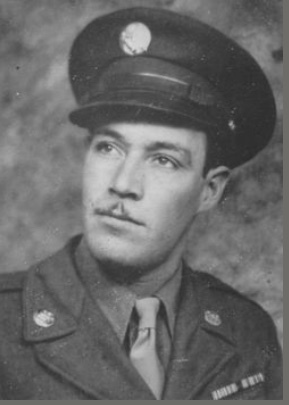 At 17 years old, he joined the US Army as a combat engineer during World War II. He was part of the historic Normandy Invasion and survived when the boat he was on was hit by a German U-Boat torpedo and started to take on water. After the war, he decided to stay with his Aunt Rita Barela in Colorado to rest and recuperate. He then relocated to Santa Maria, California where he met, courted, and married Vicenta Quintero. They were happily married for 33 years and had six children. Vicenta and Jesus then settled in Los Angeles, California where Jesus was working for General Motors. Around 1957, they moved to Arrey, New Mexico , where he farmed in his beloved Hatch Valley. Later, he worked for the New Mexico State Highway Department before heading to Washington State, where he continued farming and raising cattle and other farm animals. He finally retired and spent the rest of his life in the Yakima Valley. Jesus is preceded in death by parents Reynalda and Jesus V. Lara, wife Vicenta Lara, sons Johnny Lara and David Lara, sisters Maria Castillo, Lucia Delgado, Maria Covarubias, and brothers Pablo Molina and Benjamin Molina. He is survived by his daughters Maria Hernandez, Lillian Ybarra (Ruben), Ophelia Pagan (Richard) and son Gilbert Lara (Jackie), sister Rafaela Avalos (Roger), daughter-in-law Santa Myers, and current wife Socorro Lara. He also has numerous grandchildren and great grandchildren.